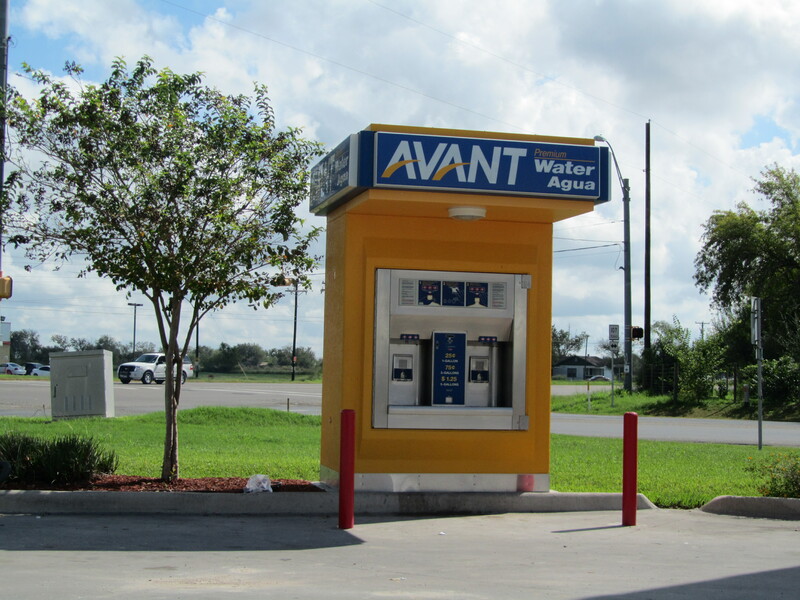 Rather than drink tap water delivered through community water systems, thousands of families living in south Texas “colonias,” low-income peri-urban and rural subdivisions on the US-Mexico border, rely on private water vending machines. 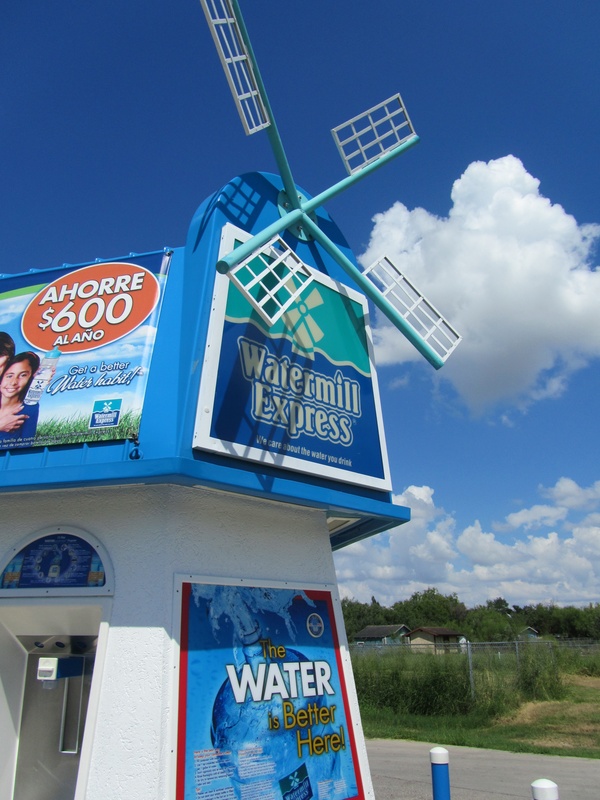 My recent study discovered that over 87% of the surveyed colonias households relied on 50% or more of drinking water from the water vending machines, colloquially known as the molinto (little windmill). Some may argue that the water vending machine is an engineering success. Who could argue with a point-distribution system that purified water? 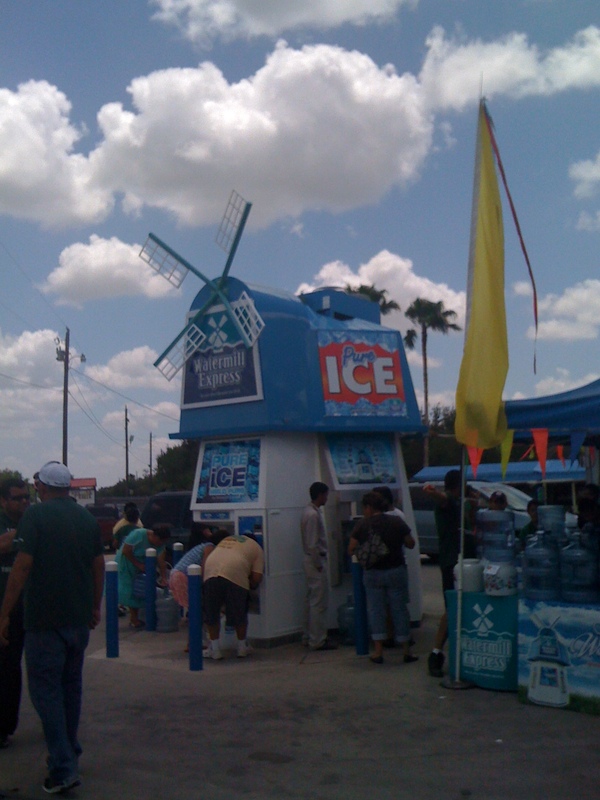 I suggest otherwise: the ubiquitous water vending machine in South Texas symbolizes a failure of public water systems to provide adequately clean water for the larger community. Water vending machines fill a demand: residents don’t trust the quality of water from the tap. It smells, looks funny, or tastes dirty. It is unreliable: water pressure problems and boil-alerts surprise residents. Others experience skin rashes after showers or baths, and many are concerned that the tap water causes illness. The region’s less than stellar history of domestic drinking water provision and fragmented system of water conveyance –moving water from the Rio Grande through irrigation district conveyance systems into water facilities– also undermine residents’ trust in source quality. But the water vending machine as a quick-fix to long-standing water quality problems in the region costs a lot. It costs the most impoverished households to pay more money for water. Water is universally unaffordable, defined as 2.5% monthly income, and reliance on vended water exacerbates the problem. In addition, over 50% of surveyed households reported that they either missed a water payment or lacked money to pay for their water at some time in the last year. Accessing drinking water from a vending machine also costs in terms of time and effort. Reliance on water machines requires residents to convey their drinking water in heavy five-gallon bottles from distribution machines to their homes. It is not surprising, then, that over 37% of surveyed household reported difficulty transporting drinking water. For some, especially the elderly, it was a physical burden; for others, it required gas money. Colonias residents made the connection between transportation and water: “Si no hay gas, no hay agua” (if no gasoline, no water). In short, drinking water is effectively privatized through the water vending machine by shifting access, conveyance, and responsibility for acceptable drinking water from a regulated community system to the unregulated market and individual. Privatizing water in this way is not only a costly burden on the poorest households; it a potential public health risk. Water vending machines are de facto unregulated. We can only speculate on the health implications of such an overwhelming reliance on drinking water from vending machines. How does the everyday reliance on vended water impact health? With little or no regulation one wonders what contamination occurs at the point of distribution. Regulators assume that water from the municipal or community system, which is purified in the machine, remains the same throughout the system. Yet studies have demonstrated post-treated water often contains pathogenic organisms or fungi at the tap. Some companies may be better than others in developing disinfecting methods at point of distribution, but there is not standard monitored by the state or county. Regardless, water vendors expect colonias residents, many of whom are the working poor and live at or below the poverty level, to maintain and store their bottles properly to avoid water contamination. Instructions on each vending machine stipulate that consumers need to disinfect their bottles prior to refill. Yet, few disinfect the water bottle before reuse, leading to concerns over water contamination. And what about long-term dental health? A recent study by the Texas A&M Baylor School of Dentistry cited bottled water as a culprit that keeps residents from maximizing fluoride’s remineralizing effects. Residents and their families are further deprived of fluoride as well as the other minerals in tap water, further compounding the burden of poverty on health. In the final analysis, reliance on water vending machines for drinking water places a huge burden on the poorest and most vulnerable communities. The cost of water is not only beyond affordability (or 2.5% monthly income), and it requires households with limited means to expend time and effort to secure drinking water. Public heath outcomes are unknown, but could be important to assess. Water vending machines don’t fix the underlying problems of domestic water provision for America’s poor. Instead, these machines lock residents and their families into a no-win waterscape where domestic water provision is insecure. Full article: Jepson, W., & Brown, H. L. (2014). 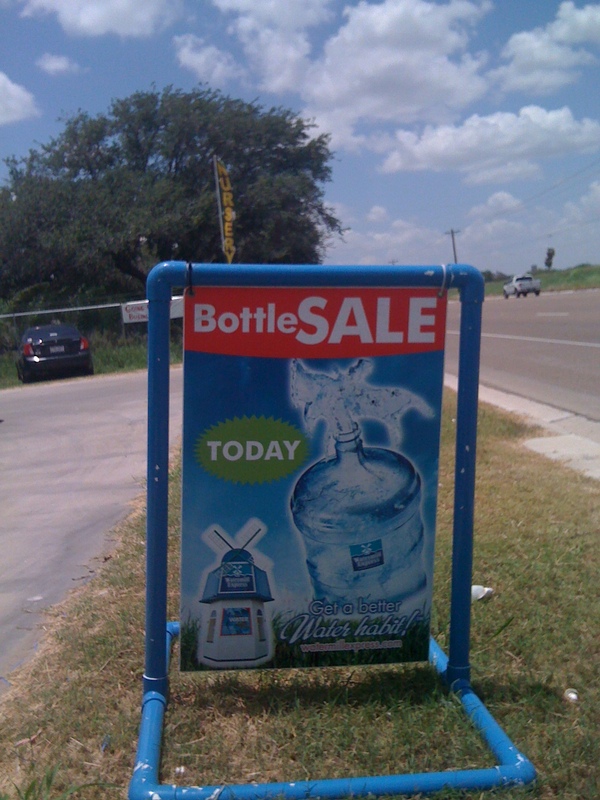 ‘If no gasoline, no water’: privatizing drinking water quality in South Texas colonias. Environment and Planning A, 46(5), 1032-1048.